The attacks reportedly happened on Yaldwyn Road on Friday morning. 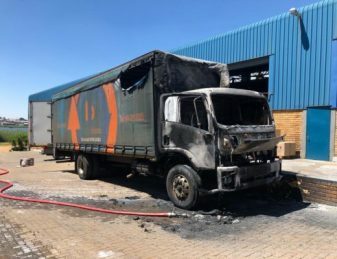 A group of people believed to be part of an ongoing plastics industry strike stormed Jet Park and destroyed properties, including trucks and light motor vehicles, on Friday morning, reports Boksburg Advertiser. 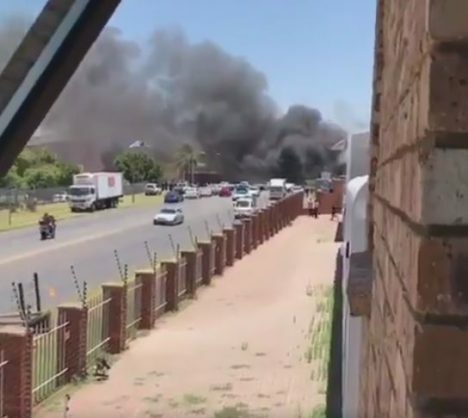 According to a source who claimed he witnessed the destruction, the group arrived in the area and started throwing petrol bombs at passing trucks and light motor vehicles driving along the area. “The attack lasted for a few minutes and the group ran away before the police arrived,” said the witness. Paramedics were on the scene, with a medical helicopter dispatched to Jet Park. The Advertiser is waiting for comment from law enforcement.